Decorate your holiday table with this beautiful Star of Bethlehem paper craft favor box. Just follow the instructions below! 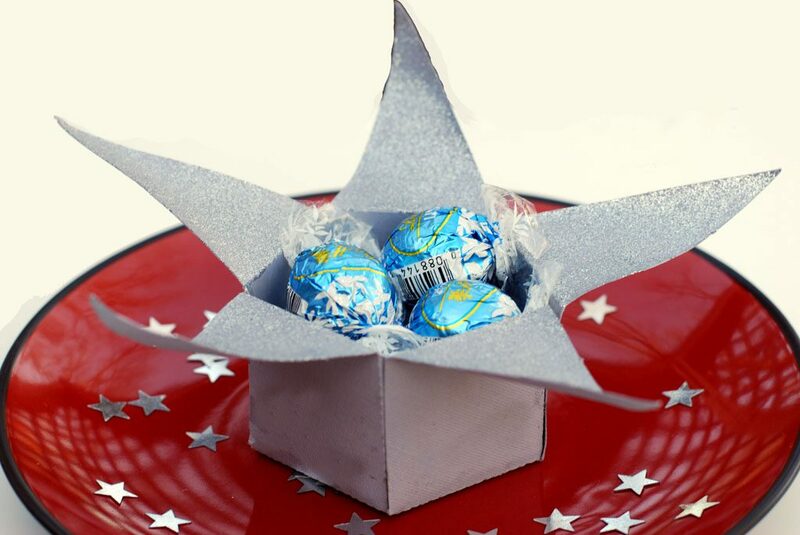 These star boxes are relatively easy to make and look lovely when filled with foil wrapped candy. Spray one side of the template with adhesive glue and place the wrapping paper onto the template and smooth out with hand. Cut around the edges of the template with scissors. Fold the template at the score marks and then unfold. Spray the back side of the template with spray adhesive and smooth with hand. Cut the wrapping paper to the edge of the template with scissors. Fold the template at score lines. Use a glue stick to glue tabs to the inside of the star box. 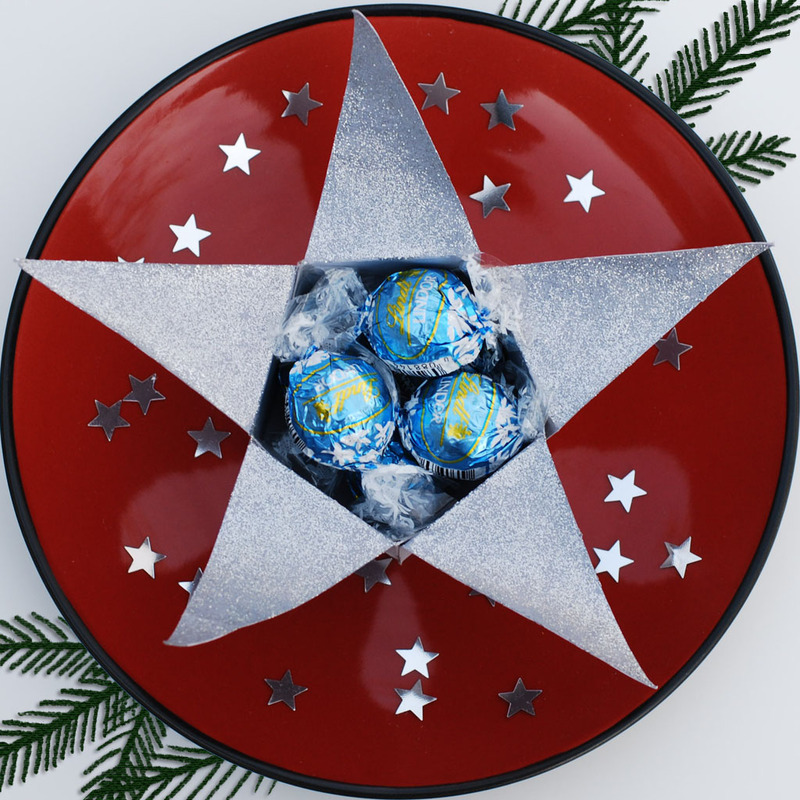 Fill the Star of Bethlehem favor box with foil wrapped candy, place on your holiday table and enjoy!